In an era in which symphony orchestras speak of community outreach as frequently as mice chase cheese, the Oakland East Bay Symphony (OEBS) puts its money where its mouth is. Fully one third of its annual budget is devoted to education and community outreach. The symphony's orientation has shifted radically in the 21 years that Michael Morgan has served as music director. 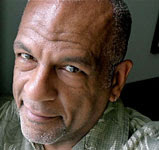 The second gay African American at the organization's helm — the first, the gifted Calvin Simmons, died in a freak boating accident at an early age — Morgan has guided the organization from its more traditional role as the Oakland Symphony to its current orientation as an Oakland East Bay Symphony that speaks to the entire population of the East Bay. When Morgan states, "The Oakland East Bay Symphony reflects the East Bay in the diversity of its programming, and by serving the community where it needs to be served," he is not reading from a press release. You need only look at OEBS' unique audience demographic to recognize that its intensive community-building and outreach efforts have helped build a trend-bucking, multi-faceted audience. 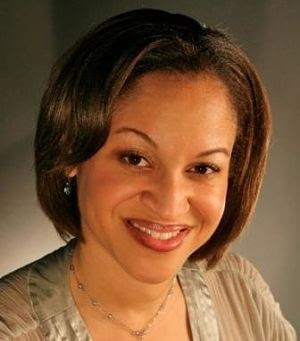 According to OEBS Marketing Director Debbi Hersh, in 1998, when symphony attendees responded to an audience survey, 90 percent identified as Caucasian. In a 2003 online survey distributed to OEBS' mailing list, 78 percent identified as Caucasian. By 2008, the Caucasian percentage of online respondees had dropped to 73 percent. A full 18 percent identified as members of other ethnic groups, and 9 percent chose not to answer the question. While no one is claiming scientific accuracy here — not all people on the OEBS mailing list actually attend concerts — any way you look at it, OEBS is far ahead of other American orchestras, whose average audience is 95 percent white. In a city such as Oakland, which vies with Long Beach as the most ethnically diverse in the United States, the presence of so many ethnic minorities in the OEBS audience indicates that the entire community values its gifts. But audience numbers are only part of the story. OEBS' annual concert season, which is exceptionally diverse and exciting, and its many educational efforts, also set it apart from the pack. In the last few years, the orchestra has intensified its efforts to reach out to specific segments of the community. While most OEBS programs mix traditional orchestral and choral offerings with unusual music, the pieces chosen increasingly reflect the East Bay's rainbow ethnicity. After past concerts honoring the area's Persian and Armenian populations, this season's "Notes from the Philippines" (April 20) puts Filipinos in the spotlight. Even the evening's "traditional" offering, Antonin Dvorák's great, heart-tugging Cello Concerto, honors the Filipino community with the choice of Filipino/Jewish American and Oakland native David Requiro as soloist. A graduate of the Crowden School, alum of the San Francisco Youth Orchestra, and recipient of the OEBS junior division Young Artists Competition some years back, Requiro has used his first prizes in the prestigious 2008 Naumburg International Violincello Competition (when he was 23) and three other major competitions to launch an international career. After the Dvorák comes the first composition for classical orchestra from Filipino-North American jazz pianist Victor Noriega. Morgan learned of Noriega from Carlos Ziálcita, producer of San Francisco's annual Filipino-American Jazz Festival. Noriega was still formulating his ideas for the piece at press time, but was pretty certain that it would reflect both his cultural background and jazz roots. He points to his 2006 CD, Alay, whose jazz interpretation of Filipino folk songs won a jazz award in Seattle, as possibly indicative of his direction. Commissioning new works from artists immersed in other musical disciplines is nothing new for OEBS. Over the past few years, their New Vistas/New Visions initiative, sponsored by the Irvine Foundation, premiered commissions from four California artists: Scott Amendola, Benedikt Brydern, Rebeca Mauleón, and Narada Michael Walden (with no less a personage than Carlos Santana on guitar). 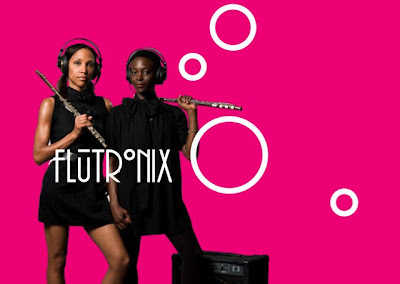 Jazz, rock, Afro-Cuban, and electronica have already danced together on the stage of the Paramount Theatre. Alpha Phi Alpha Fraternity, Inc. General President "Skip" Mason selected Patrick D. McCoy to conduct a select choral ensemble at Constitution Hall in the star-studded gala, MLK: A Monumental Life in tribute to Dr. Martin Luther King, Jr.
Patrick D. McCoy was recently honored to conduct a special choral ensemble composed of choir members from Takoma Park Baptist Church, where he has served as Minister of Music since 2006 and talented friends from within the Washington, D. C. community. The white tie formal gala was the official MLK Kick-off presented by Alpha Phi Alpha Fraternity, Inc., of which McCoy is a proud brother. ”Words can not express the gratitude that I have to ”Skip” for this national performance platform for such a historic occasion." said McCoy. The production was performed at Historic Constitution Hall and was a large scale theatrical and musical presentation conceived by General President "Skip" Mason on a recent trip to South Africa. It was a magnificent event, celebrating the life of Martin Luther King, Jr. and rejoicing in the erection of the Memorial to King on the National Mall. The choir rehearsed for three weeks and was excited about the opportunity. Many of the singers joined McCoy at the National Press Club in 2009, performing for a special inaugural reception hosted by Mason. 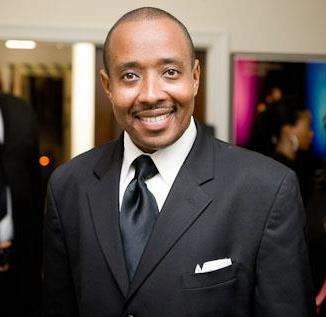 That event was his first official event as President of Alpha Phi Alpha Fraternity, Inc. and was in celebration of the election of Barack Obama as the nation's first African-American President. 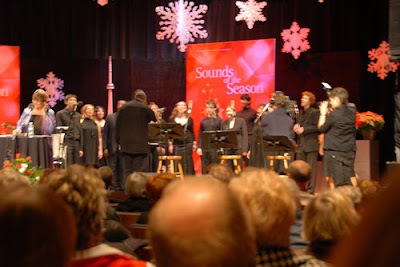 The choir performed with Sunday Best winner Y'anna Crawley during the church reenactment scene with celebrated actor Clifton Davis. Celebrity performers included Kenny Lattimore, Denyce Graves, Ann Nesby, Tramaine Hawkins, Phylicia Rashad, Terrence Howard, Cuba Gooding, Jr., Jasmine Guy, Lalah Hathaway, Dawnn Lewis, Avery Brooks, Joseph Joubert, Della Reese, Tim Reid, Daphne Maxwell Reid, The Morehouse Glee Club, Keisha Knight Pulliam, Victoria Rowell, Hill Harper, Sweet Honey in the Rock, Derek ”Fonsworth Bentley" Watkins and Marvin Winans among others. 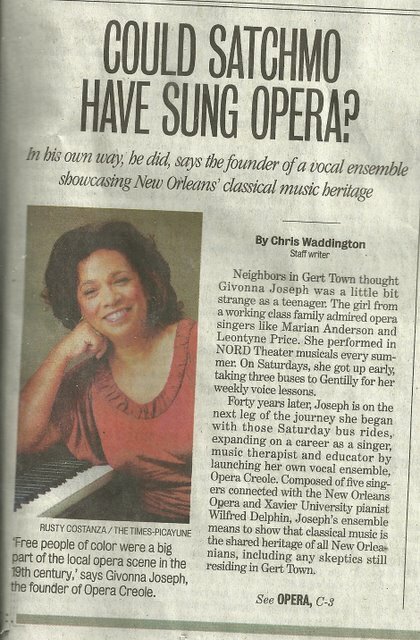 ”This was a major milestone and I am indebted to producer and director Kenneth Green for his artistic insight and genius. McCoy concluded. I am sending this just to share, thought you might like that our local newspaper gave us/me such attention. So many people have stopped on the streets who read the article, to tell me that they did not know any of our historical information. I am attaching the page from the printed paper, so you can see the interesting title they gave it. "Could Satchmo Have Sung Opera?" 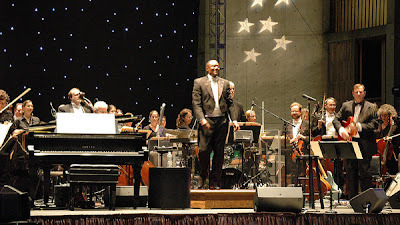 “After dinner, the sun set and the San Diego Symphony took the stage once again led by special guest conductor Thomas Wilkins. 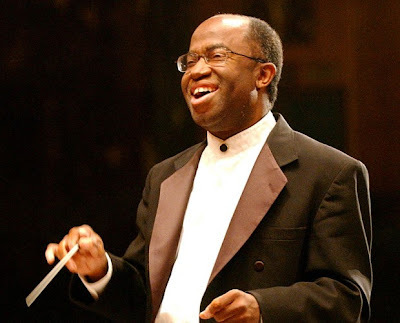 Wilkins, a favorite as the Principal Guest Conductor at the Hollywood Bowl, is not only eloquent with his conductor’s baton, but he was eloquent with praise for the Salk and the San Diego Symphony. 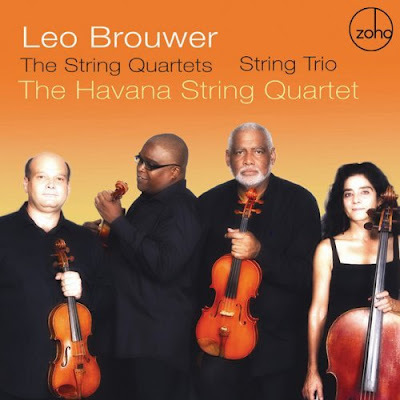 The Havana Quartet, founded by Brouwer in 1980, has this music in their fingers and soul. The acclaimed Violist Nokuthula Ngwenyama, whose website is http://www.Ngwenyama.com, is also profiled at AfriClassical.com. 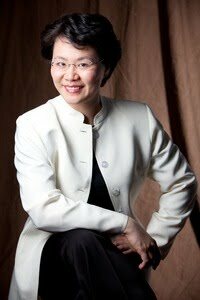 She became the President of the American Viola Society in June. “Nokuthula Ngwenyama has been a face to watch for a while: She brought her opulent tone to the viola solos in Berlioz's 'Harold in Italy' with the Los Angeles Philharmonic back in 2004. But maybe this Californian (of Zimbabwean and Japanese heritage), who also holds an advanced degree in theology from Harvard, has other priorities besides rushing her career. Her versatility in various kinds of music -- be it Bach, jazz or 'Che: A Musical Biography' for viola and guitar by Spanish composer Miguel Corella -- adds to the difficulty in finding a pigeonhole for her. “I'm so grateful for your excellent work, and hope you don't mind me keeping you in the loop of my various projects! "Richmond Chamber Players' Interlude concerts: Series finale; William Grant Still, Gareth Farr and others at 3 p.m. today at Bon Air Presbyterian, 9201 W. Huguenot Road. $16-$18. 272-7514, ext. 312." Miniatures, for flute, oboe & piano (1948). London: Oxford University Press, 1963. 19p. & parts. 1. I ride old paint (USA); 2. Adolorido (Mexico); 3. Jesus is rock in the weary land (USA); 4. Yaravi (Peru); 5. A frog went a-courtin' (USA). Dedication: Sir John and Lady Barbirolli. “This suite is based on folk songs of the Americas, and is a souvenir of the visit to America of Sir John and Lady Barbirolli, and of the many friends made by them during their stay.” Duration: 12:14. Library: Library of Congress (64-33197/M; holograph, 48-22855). That's the halfway point - ten of the twenty are now up on YouTube. ZOHO Music, a New York area indie record label heretofore devoted to Latin American ethnic popular music, jazz, blues, and classic rock, has established a new imprint called ZOHO Classix. To launch it, company owner and executive producer Joachim “Jochen” Becker has released a CD of string quartets by Cuban composer Leo Brouwer. “This first classical release on ZOHO came about, one might say, as the result of a kind of ménage à trois between Brouwer, the Havana String Quartet, and Zoho. The ZOHO label had initially come across the guitar music of Leo Brouwer through ZOHO artist and internationally renowned Brazilian acoustic guitarist Carlos Barbosa-Lima. Carlos had been a friend and musical collaborator of Leo Brouwer since 1975, meeting frequently at international guitar festivals. Barbosa-Lima championed several of Brouwer’s compositions and arrangements in concerts and recordings since that time, and most recently on three of his ZOHO releases: Frenesi (ZM 200408) and Siboney (ZM 200414) from 2004, and Merengue (ZM 200911) from 2009. “Q: So how exactly did the project to record Brouwer’s string quartets come about and eventually materialize? “When he picked up the phone at his Omaha home on a recent weekday, conductor Thomas Wilkins was just going over the score for Saturday’s annual benefit show with the San Diego Symphony at the Salk Institute. “The returning Wilkins is musical director of the Omaha Symphony, and also guest-conducts from Hollywood to Boston. He’ll preside over some 50 to 60 San Diego Symphony musicians, as Menzel — a Broadway icon for her turn as the green-hued witch Elphaba in 'Wicked' — performs a career-spanning selection of songs. "To Wilkins, the purpose of the event — to boost the Salk’s research and educational programs — earns it a little extra fanfare (even if not all of Menzel’s fans can quite afford the fare). 'This is the 100th year of the San Diego Symphony,' he notes, '(and) the fact this great orchestra can have such a relationship with an institution that’s also involved with healing is pretty profound.'" When: Champagne reception, 5:30 p.m. Saturday; dinner by Pamplemousse executive chef Jeffrey Strauss, 6:30 p.m.; followed by concert at 8 p.m. This second concert in a series focusing on new works for pairs of like instruments will include duos for violins, cellos, and flutes with works by Ray Lustig, Michael Gilbertson, Conrad Winslow, Michael Ippolito, Peter Flint, and yours truly! This performance will feature members of the New Juilliard Ensemble. 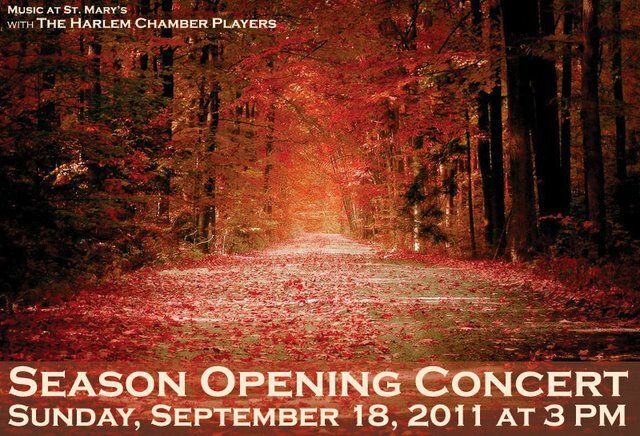 The Harlem Chamber Players present the opening concert of the 2011-2012 season of their "Music at St. Mary's" chamber music series in Harlem. Eric K. Washington, author of Manhattanville: Old Heart of West Harlem will host the event. 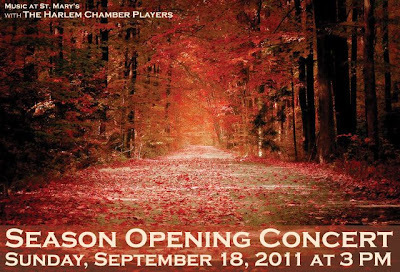 The program will feature mezzo-Soprano Carolyn Sebron and violist Richard Brice in the Brahms Songs Opus 91. Founder and Artistic Director Liz Player will be featured in Brahms' Clarinet Quintet Opus 115. 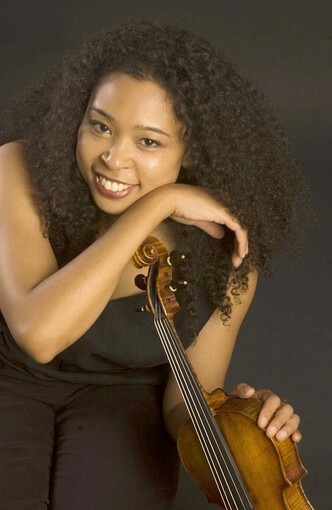 Violist Amadi Azikiwe will also join the group in a performance of Mozart's String Quintet in Bb, K.174. The concert takes place Sunday September 18th at 3pm in the historic St. Mary's Episcopal Church located at 521 West 126th Street between Broadway and Amsterdam. “In taking the reins of any group, it’s rarely easy to follow a founder. You might think things would be even more difficult for a young Asian woman in becoming only the second music director in the 25-year history of the Chicago Sinfonietta, a group started in part to advance African Americans in classical music. But Sunday evening at the Pritzker Pavilion, Taiwanese-born Mei-Ann Chen made the transition seem as natural as a beautiful summer day in Millennium Park. “Chen, 38, has led the Sinfonietta before to strong positive responses, two years ago as a part of her audition, and last season as a part of the baton passing from founder Paul Freeman, whom Chen calls 'my wonderful musical hero.' But this was the her first real chance to say hello to Chicago from the podium. Awadagin Pratt has released two new CDs this year, Johannes Brahms, Works for Cello and Piano on Telarc; and Eternal Evolution, four works of Judith Lang Zaimont on the Navona label. Awadagin Pratt's previous EMI Classics recordings are also being reissued. 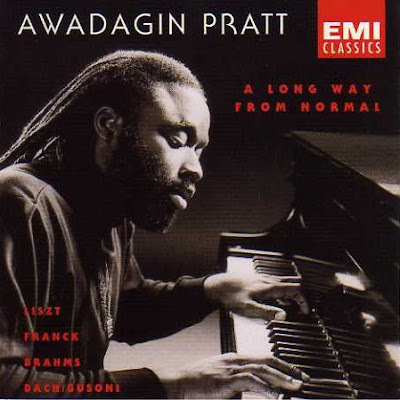 The pianist's first recording A Long Way From Normal, was EMI Classics 55025 (1994). It has been reissued by Arkiv Music for $16.99. 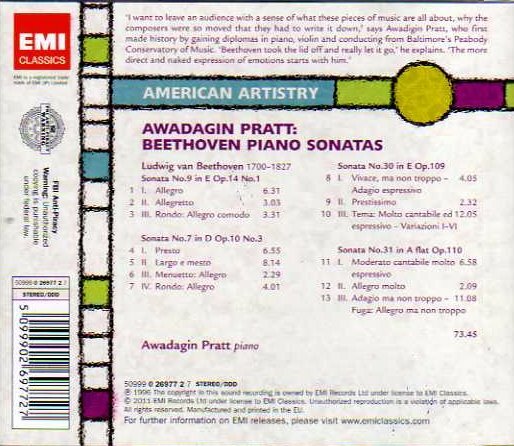 Awadagin Pratt's second recording is Awadagin Pratt: Beethoven Piano Sonatas; EMI Classics 55290 (1996). Piano Sonatas Nos. 7, 9, 30 and 31 make up the program. As familiar as these pieces are, Pratt gives them a distinctly fresh interpretation which we find quite enjoyable. This disc is out of print, but has recently been reissued as an Arkiv CD for $16.99. The same program is also available on a reissued EMI Classics release, catalog number 0 26977 2 (2011). CDUniverse offers the disc for $11.49. Amazon.com sells the CD for $9.42, while the price at Amazon Marketplace for a new copy can be as little as $6.62. 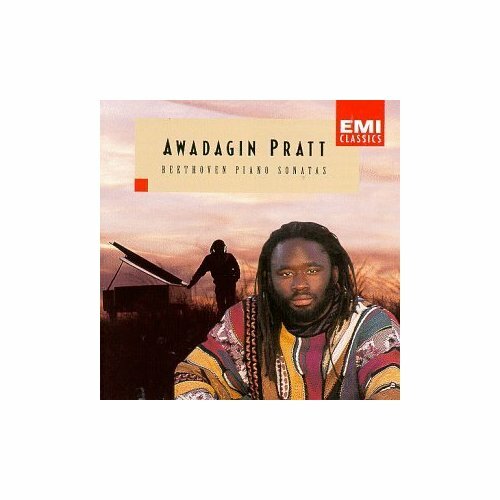 “Awadagin Pratt not only has a huge dynamic range but he has an original vision of the music, and the way he probes its innermost recesses is exciting and moving. 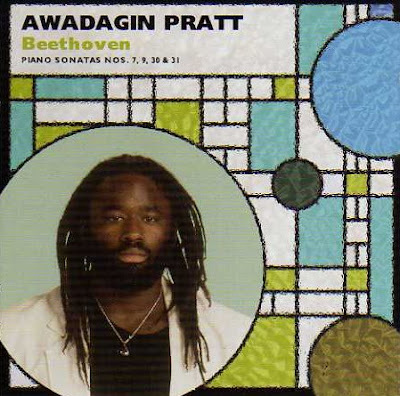 Awadagin Pratt is a young American pianist still in his twenties. 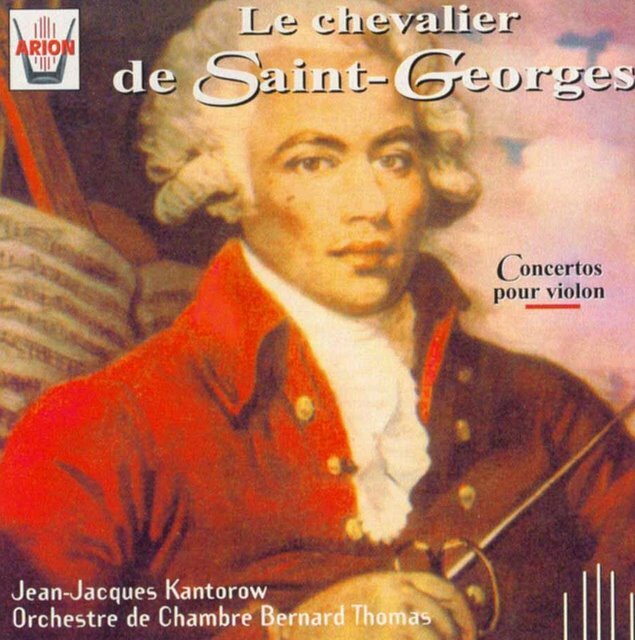 Here he makes a strong impression in the two early sonatas, marking off musical ideas and sections very decisively. He sounds as if he has worked out his interpretations in every detail, rather than playing spontaneously. Although Beethoven’s Op. 109 is the simplest of his late sonatas, it needs the most mature pianist, one who can fill out its unfussy forms with the generous, unselfconscious feeling that usually comes only with long experience. Pratt is much more arresting in Op. 110, which gives him the chance to inflect more. He not only has a huge dynamic range but he has an original vision of the music, and the way he probes its innermost recesses is exciting and moving. The slow sections prefacing the two fugues are inspired and, towards the end, a mood of elation takes off as never before. “Born in Pittsburgh, Awadagin moved to Normal Illinois at the age of 3 and began studying piano at the age of 6 and violin at the age of 9. At 16, he entered the University of Illinois, where he studied piano, violin, and conducting. At Baltimore’s Peabody Conservatory of Music, he became the first student in the school’s history to receive diplomas in three performance areas. 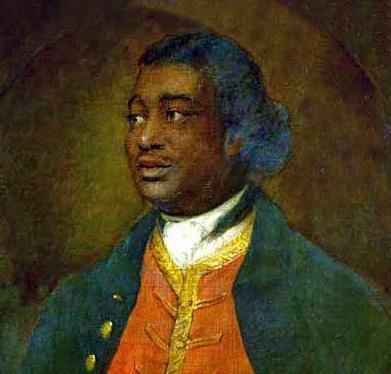 September 23, 2011, 8:00 p.m.
September 24, 2011, 8:00 p.m.
September 25, 2011, 3:00 p.m.
BrycchanCarey.com: "The portrait of Ignatius Sancho was painted at Bath on 29 November 1768 by Thomas Gainsborough..."
A number of Black abolitionists came to prominence in late 18th century London. “TACKLING a political subject on stage can translate into pure gold — or sheer suicide. But in the case of the Mandela Trilogy, the gamble has paid off richly, resulting in an impressive entertainment product of export quality. 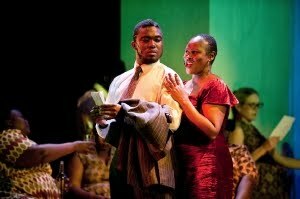 A triptych of musical vignettes highlighting defining periods in Madiba’s life, this Lottery-funded Cape Town Opera production is on at the Montecasino Teatro in Johannesburg until tomorrow (Friday August 19), having also completed a run in Durban. 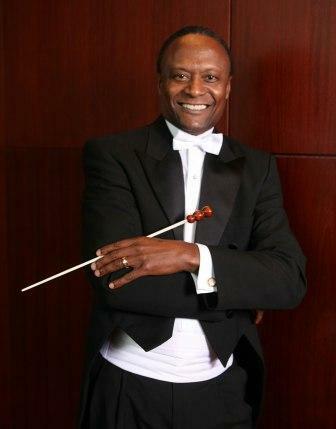 The concert is under the direction of Brainerd Blyden-Taylor. The Chorale is named for R. Nathaniel Dett (1882-1943), the African American composer, pianist and choral director who was born in Canada. His legendary tenure as Choral Director at Hampton Institute extended from 1913-1932. Dett died in Battle Creek, Michigan while touring with a USO Choir in support of the U.S. effort in World War II. 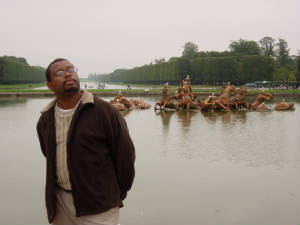 A complete Works List for R. Nathaniel Dett is featured at AfriClassical.com, as compiled by Prof. Dominique-René de Lerma, http://www.CasaMusicaledeLerma.com. 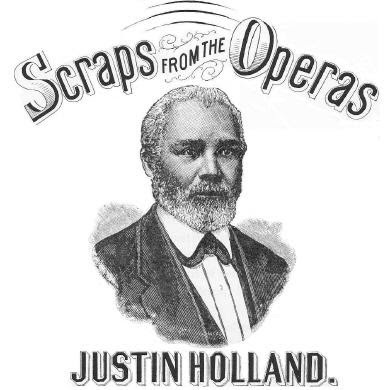 Do Grants and Competitions Exist for Black Composers of Classical Music? 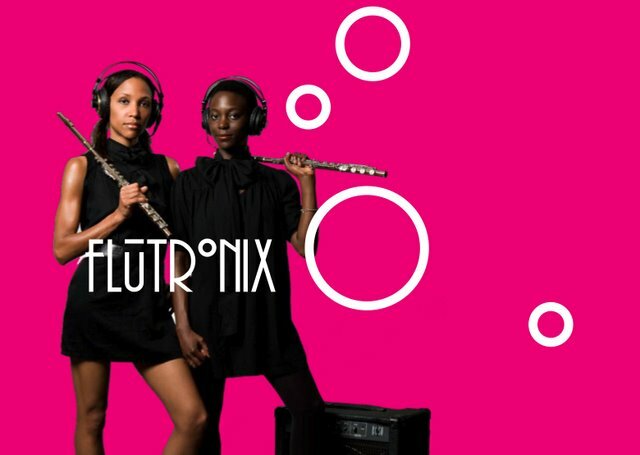 The Imani Winds Quintet, http://www.imaniwinds.com/, has commissioned a number of works as part of its efffort to expand the Wind Quintet repertoire of works by composers of color. The pianist Terrence Wilson took an entrepreneurial approach to the commissioning process. He solicited 6 orchestras to form a consortium to commission Grammy-winning composer Michael Daugherty to write a piano concerto. The resulting work is Deus Ex Machina for piano and orchestra (2007). Naxos paired the work with Daugherty's Metropolis Symphony on its release Naxos 8.559635 (2009), performed by the Nashville Symphony under the direction of Giancarlo Guerrero, conductor. This reply is copied to my principal associates, who may contact you if they have additional suggestions. I hope you will keep the Center for Black Music Research (CBMR) at Columbia College Chicago informed of your compositions and recordings. 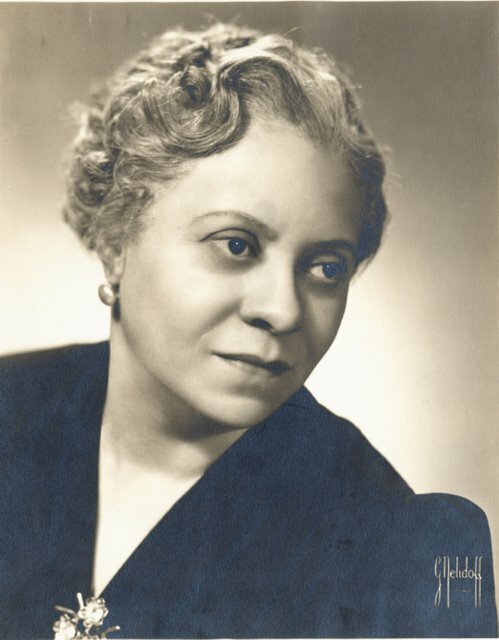 Its web address is: http://www.colum.edu/cbmr The CBMR has a unique and enduring research collection of scores, recordings and other materials related to Black composers. 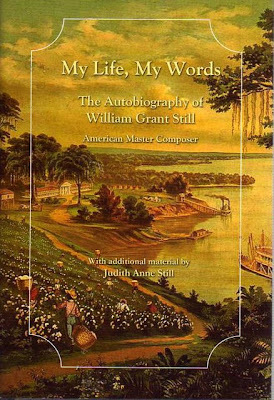 “Some of the people who also came to Wilberforce from Little Rock spread the news that my family was comfortably fixed. Added to that, there seemed to be a feeling that I had a future before me. As a result of these rumors, I walked unsuspectingly into a neat little scheme and never did graduate from the University, although I had completed almost all of the necessary work. “It was just six weeks before graduation, when Still's cap and gown had already been purchased, that the 'neat little scheme' unfolded. A group of girls invited Still and some other boys to take a walk in the woods, even though the college expressly forbade such an outing. When the young people started to leave campus, Still found himself paired off with a female whom he knew only slightly, whose name was Grace Dorothy Bundy (born February 1897). Grace was one of the girls in the high school program at Wilberforce – she was not a college student. “chance to expel me. The next day, I packed up my things and left. I don't recall now just what happened to the others who walked into the woods. Later, when I returned to visit my friends, I was requested by the Dean not to do so, after what had happened. I got the unmistakable impression that they were glad this little mishap had occurred so that they could have a breathing spell at the college. 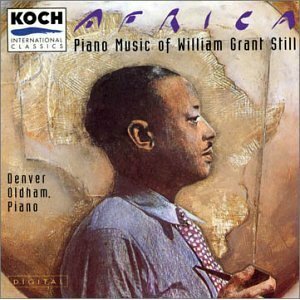 [William Grant Still (1895-1978) is profiled at AfriClassical.com, which features a comprehensive Works List by Prof. Dominique-René de Lerma, http://www.CasaMusicaledeLerma.com] Disclosure: A review copy of this book was provided by the publisher. 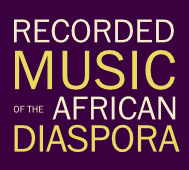 AfriClassical has written frequently of Awadagin Pratt's new CDs this year. 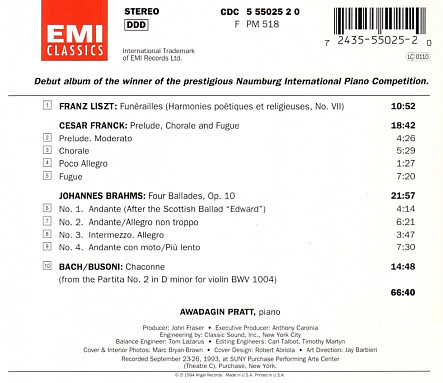 The pianist joined cellist Zuill Bailey on a highly-charged Telarc release, Johannes Brahms, Works for Cello and Piano. Eternal Evolution came next, with four works of contemporary composer Judith Lang Zaimont performed by Awadagin Pratt and the Harlem Quartet on the Navona label. Previous recordings are also being reissued. They include his first recording, A Long Way From Normal, whose title is a sly reference to Normal, Illinois, where he was raised. This release is EMI Classics 55025 (1994), now reissued by Arkiv for $16.99. The composers represented on the disc are Franz Liszt, César Franck, Johannes Brahms and Bach/Busoni. For those who enjoy the economy of used CDs, Amazon Marketplace offers 25 used copies of the original CD for as little as 99 cents. Awadagin Pratt is a musical triple-threat performer, being the Peabody Conservatory's first student awarded simultaneous performance degrees in three areas: piano, violin, and conducting. 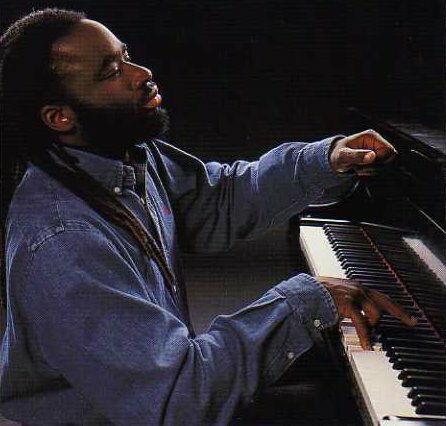 However, he spends the majority of his professional career as a pianist performing as soloist, as collaborator in chamber music projects, and as educator at a variety of programs, whether at schools or festivals. There's quite an impressive mix of familiar and fresh planned by music director Sheldon Bair for the Susquehanna Symphony Orchestra's 35th anniversary season, too. A program that finds room for Tchaikovsky's "1812 Overture" and a Grateful Dead-inspired symphony by Lee Johnson is plenty interesting. Add into that same program arias from Mozart's "Don Giovanni" and a gorgeous excerpt from Tchaikovsky's "Mozartiana" Suite, and you're talking extra-clever.